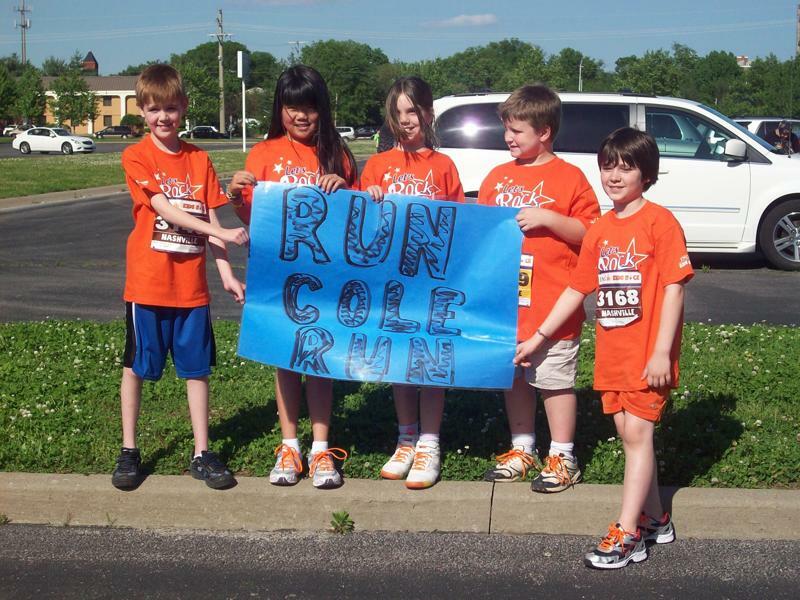 Back on April 29th my oldest son Carter participated in the ING Kids Rock Marathon in Nashville, TN. I know April 29th was several months ago, I am running a little behind when it comes to my blog. Summer has turned out to be a little busier than I had expected. Anyway, back to the subject of the marathon. The marathon was formerly known as the YMCA Country Music Marathon and this year it was sporting a new sponsor and new name. This year the ING Kids Rock Marathon celebrated 10 years with 4,700 participants ranging from Kindergarteners to seventh graders. The goal of the Marathon is to introduce kids to physical fitness and its importance, while helping children achieve team goals to stay fit and healthy with the motto “ING run for something better”. The race itself is a modified marathon meaning that each student completes 25.2 miles prior to the final mile. Most children taking part in the race train in a group or in their physical education class at their respective schools. Completing a few miles at a time prepares them to run their final mile alongside other Nashville students in a Marathon style setup around LP field (home of the Titans). Besides providing the opportunity to explore the world of running and fitness for children of all ages, the marathon awards grants to school programs pouring back into the schools and their health education programs. Next year's Marathon registration will open in Late September-Early October. It really is something great to be apart of. Great picture and a great event. Kids really need to get out and play more, and this certainly is a step in the right direction. Have a good weekend.